End of Tenancy & Move out Cleaners E Tower Hamlets | Quality Property Care Ltd.
For an outstanding end of tenancy cleaning service, call 020 3746 4287 for Quality Property Care Ltd. and get your money’s worth. We operate early mornings right up until late evenings, all done by the best professionals in the industry, armed with the finest equipment and solvents delivered by Prochem. The end of tenancy cleaning company Quality Property Care Ltd. demands that the renter has moved out all personal items just before the end of lease cleaning can be performed. In order to help the clients with that, the firm additionally delivers professional packing services and supplies packing materials for the possessions, and a man & van service, that can quickly and effortlessly move out all possessions, so that the cleansing can start. In addition, customers can easily order out-of-doors window and gutter washing, gardening services, waste removal as well as handyman services. For landlords, property managers and real estate agencies, the firm also offers a specific pre-tenancy service as well as standard cleaning services. Determined as a deep and thorough purge, move in and out tenancy cleaning calls for solid efforts, great sanitizing skills and in depth inspection for stains, bacteria and dust. Till the whole track marks is out, none of the hard-working Quality Property Care Ltd. end of tenancy cleaners Tower Hamlets E will leave your property. Our reliable post tenancy cleaning company possesses the right formula for success: revolutionary cleaning approaches + personal approach to each client. Be aware that in case of an omission, our end of tenancy cleaning company Tower Hamlets E gives you a guarantee. Call us within 48 hours and we will certainly re-clean your residence for free, if you or the landlord, property agency are not satisfied with the final results. 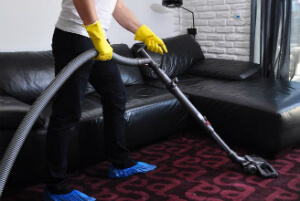 Save your own time, effort and threat of not getting your deposit back by choosing our professional end of tenancy cleaning service right now. The service is appropriate for the cleaning of both commercial and domestic properties, our employees do not leave the sight till the job is done. As this is not per hour based service you will be charged based on requirements such as room size, amount of rooms, what you want cleaned and so forth. Time is definitely not a restriction for our team nor is the location as we work throughout the entire Tower Hamlets Eregion as well as the Greater London area. The service itself is ideal for landlords, renters, building & property managers, with unique rates for each one, depending on the size of the order. We clean the overall property or particular rooms, with no limitations on where and what we can clean. We clean the kitchen area, bath, hallway, stairwell, living room, the home furniture, all over the doors, on top of the doorframes, in your sleeping quarters and so on, all done skillfully and with no harmful chemicals. Hurry up to make a swift booking for our adaptable end of tenancy cleaning company Tower Hamlets E services! Quality Property Care Ltd. is ready for your end of tenancy cleaning requests. Receive a free quote today or ask for further info! Dial this 020 3746 4287 phone number or the online booking form and reserve our end of tenancy cleaning service in Tower Hamlets E at tiny fraction of the cost today!